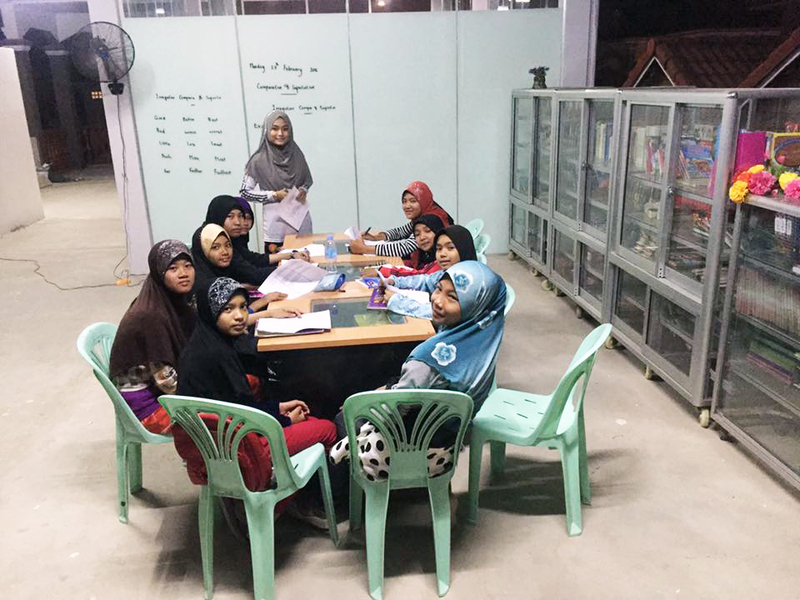 The Siem Reap Muslim Community Development Organization (SRMCDO) is a small, grass-roots, not-for-profit community organization. Founded in 2006 by a group of concerned community members, with the aim of alleviating the effects of poverty within their small community (of approximately 350 Islamic Cham families). The SRMCDO is based in the community of Stueng Thmey and Tonle Sap floating village, however endeavours to cater to all Islamic Chams in Cambodia. BE PART OF OUR SRMCDO PROGRAMS TODAY! To provide and improve the skills for the society, SRMCDO participated through the vocational training program. 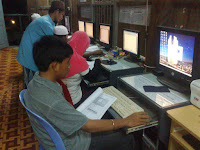 The adolescents get additional skills either computers or English training. These skills are important to help the students to find better jobs and improving their quality. Welcome to SRMCDO's English Class Oct-Dec 2016. Vocational Training (English and Computer) Opening !! SRMCDO open registration for the English and Computer Training for Oct-Dec 2016 Term. There are about 93 students registered for English Training. The simple reading and oral test conducted for the placement test. The classes are arranged and taught by SRMCDO's sponsored students who study English at ACE (Australian Centre for Education) Mr. Zaky Abdulsomad, Ms. Heang Sokma, Mr. Zaki Yusouf, Ms. Khoyrunnisa, Ms. El Khory, Mr. Pheak Fij Kry and Ms. Les Afiny. They are voluntarily transfer their English knowledge and skills to the poor students who want to learn English at SRMCDO vocational program. The English training period start from October until December 2016. Each level will take about 1 hour session start from monday to Thursday at 5:00pm to 9:00pm. Dear Youths, Kids and Adults.. If you have plenty of free time and want to kill the time by something useful.. visit and joint SRMCDO's vocational training for free! Everybody are welcome, let's come for better knowledge. All who hungry to gain new knowledge and skill are welcome. SRMCDO has implemented the English course for small children and adults in the purpose of providing them a better knowledge and improve their English communication skills such as listening, reading, writing and speaking. Our goal in conducting this English training is to provide them good English skills, so they may continue their study in university or having sufficient English skills to apply good job. Some potential and dilligent students already transferred to get better study with ACE, eventually they will share the knowledge to educate our poor young community, the future generation of Cambodia. 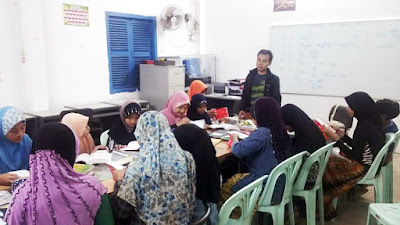 To promote good education among the Khmer students, SRMCDO has sent 15 Muslim students to study English at ACE. This English knowledge is very useful for the students to improve their skills and to be more competitive in finding the jobs. This program supported by some generous people from Malaysia, Singapore and Belgium. In addition, there are a about 85 students who have jointed the free English lessons and basic computer skills at SRMCDO. This vocational training is partnership with the Muslim Aid organization for the program in 2010. Continous support are needed for SRMCDO to improve good education to Khmer Students, any inquiry about how you can help can be addressed to the following email: srcmdo@gmail.com. This training taught voluntarily by SRMCDO's students who already got wide knowledge and training in their fields. SRMCDO's understand that the use of technology if very important skills for the students. To answer this challenges SRMCDOS has computer training program for free to any students, unemployment, or anyone who interested to get knowledge in computer. The training package include, introduction of computers, Microsoft office, emailing, internet and browsing. As well as making blog for their business or activities. SRMCDO will evaluate and observe the student's skills for the English and Computer. In the case SRMCDO find some excellent students that have potential to get promotion to continue their study at ACE course, college or university then SRMCDO will arrange to get sponsor for them. Through this way, SRMCDO will be able to improve the students' knowledge for their better future. SRMCDO welcoming all the new vocational students.. and enjoy your education. Wassalam. For inquiry may contact us @: info@siemreapmuslim.org or visit us @ https://siemreapmuslim.org . Simple theme. Powered by Blogger.